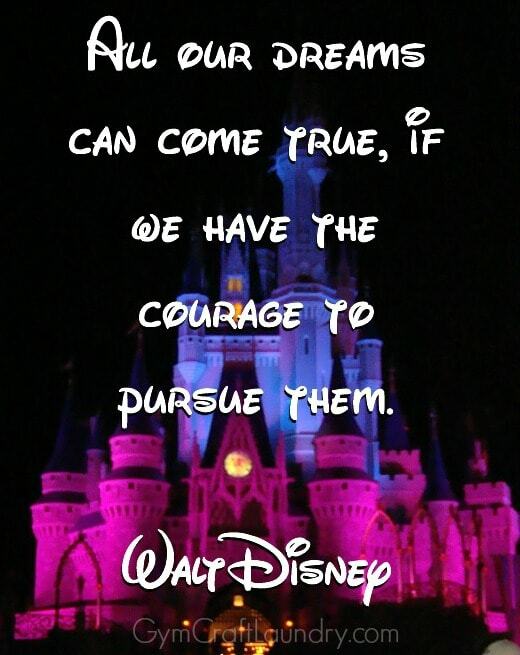 I love Disney for so many reasons, especially his fearless pursuit of his dreams. He spent his life chasing his dreams, bringing them to life for others, and championing the importance of dreaming big. These four motivational quotes from the biggest dreamer of them all inspire me to stay true to my hopes and dreams no matter how old I am. They have helped me stay strong during some of my darkest days and pursue my writing dreams. I see the enchantment and magic of dreams in each of my children’s eyes when we step through the gates onto Main Street, Magic Kingdom. When we think of Disney, we immediately think about “making wishes upon a star” and reaching for the magic. Walt Disney created amusement “worlds” that transport visitors into the ultimate dreamer’s wishes made true. 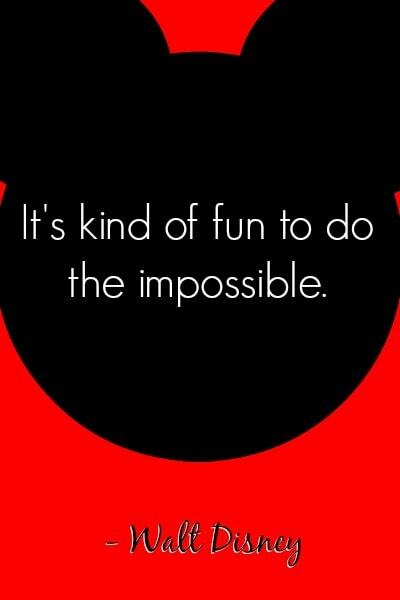 Visiting Disney World is proof that aiming for the impossible is F.U.N. I want my children to always explore life. I want them to take the time to see the magic hiding around the corner. 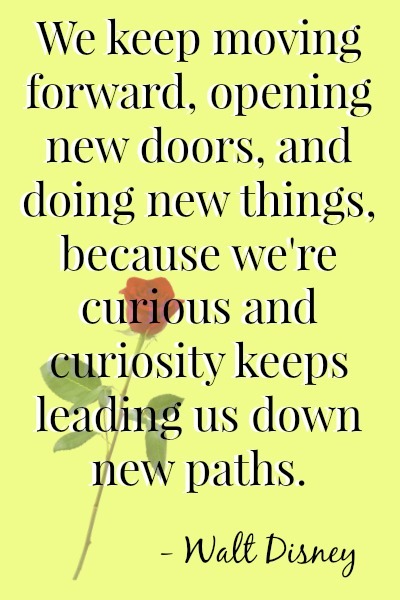 Like Disney says, “we keep moving forward, opening new doors, and doing new things because we are curious and curiosity keeps leading us down new paths.” I don’t want fear of the unknown to hinder them from reaching their full potential. I want them to learn the lesson that Disney teaches millions of people– “all of our dreams can come true if we have the courage to pursue them.” Whether it is simply the courage to take the first steps towards a new slide, to reach up and hug a giant mouse, or make a leap of faith into a whole new life, all it takes is one step towards having all of our dreams come true. 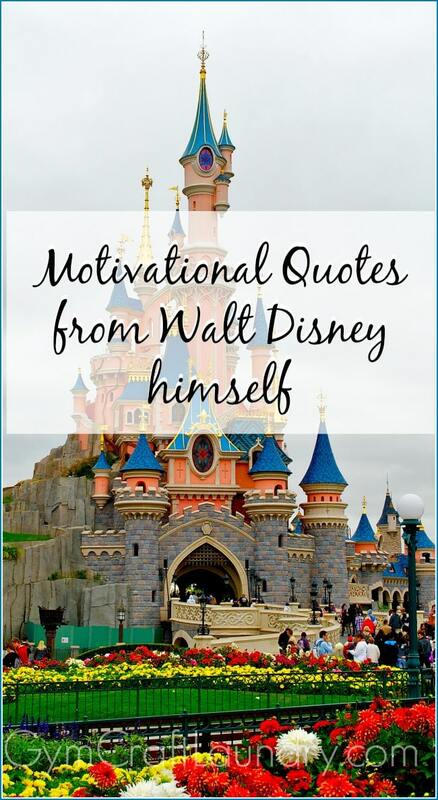 Do Disney’s motivational quotes about dreams inspire you? When was the last time you wished upon a star? Thanks for sharing these four inspirational quotes! I think that quotes like this are a great way to help motivate people to follow their aspirations and work hard everyday. It would be nice to get some more quotes from Disney and their movies. 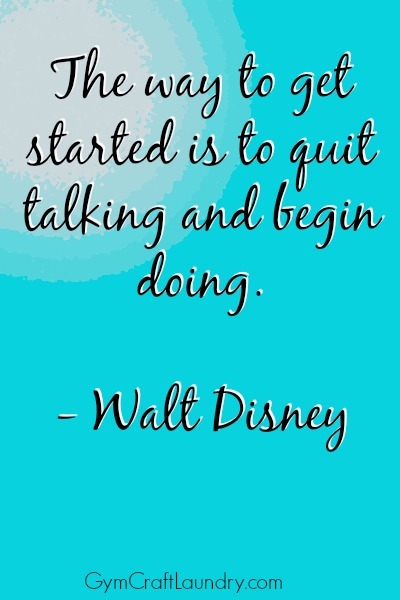 Maybe I could make a wall of Disney quotes in my work cubicle! I have always loved quotes from Disney and Seuss! I love all of these. And now I want to go to Disney World!!!! 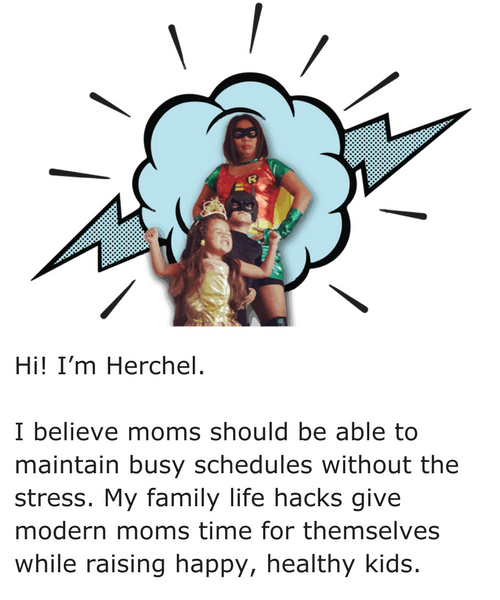 Jill Robbins recently posted…I’ve been neglecting myself and I’m going to stop. I am shamelessly dropping hints to my husband about going during the MLK weekend. It’s the best time of the year to go to Disney! What great quotes! I’ll always remember taking my middle daughter to Disneyland, when she was just over a year old. She had always been so quiet and mellow. Then, we hopped on the It’s a Small World, ride. She bounced and giggled the entire way through–it was incredibly cute! Disney, truly was the master at following his dreams, and making the magic happen. What excellent lessons for our kiddos too!